The creative-minded micro biologists and those related to the DNA subject have come up with unique and innovative ways of demonstrating the Double Helix DNA structure as proposed by James Watson and Francis Crick. In this article, we are going to introduce you to some of the best DNA models ever made. Back in 2002, John Schollar came up with a Lego DNA model that unlike other models based on the Lego blocks, was a more accurate depiction of the structure of DNA. The striking feature of his DNA model is that it can be used as a collaborative learning tool. Students can be grouped into two teams and each will build one of the complimentary strands of DNA. Later on, their work can be joined and hence the two complimentary strands of DNA linked together to form the model. The reason why John Schollar opted for Lego was clear. He wanted something that won’t be very intimidating for students. Lego is something we are all familiar with and it’s very easy to get indulged with it. However, unlike how easy the task sounds, building an intuitive DNA model wasn’t straightforward. The existing ones were too simple to be of any real use for learning. His dedication led him all the way to meet the expert model makers at Legoland. The work finally yielded fruit when John had a model that could take some abuse in the classroom and still be built with standard Lego blocks only. 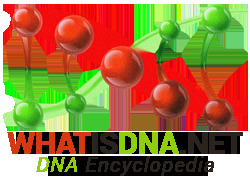 The second of the best DNA models is the miniDNA model from Spiring Enterprises Limited. The model was updated in 2006 to exhibit the major and minor grooves, i.e. where the spinal columns of a helix are spaced out and where they are closed up. The model also presents the number of hydrogen bonds existing between the base pairs. The miniDNA model is composed of plastic pieces that are vibrantly colored and assembling them is quite a straightforward task. Apart from the learning purposes, it also acts as the right decoration piece for the biology-minded. Not only does the model have extra pieces to construct RNA strands but there are some add-ons as well that will even let you reveal the protein synthesis process. Last but not the least of best DNA models, there is a DNA Jigsaw by Wilbert Garvin. Unlike the above-mentioned models, this is a two-dimensional one and can be used for explaining the replication and transcription processes.